It has come to the attention of the President and members of the Synod of Bishops that statements are still being made by individual clergymen and laymen of our Church, in defiance of the authority of the Council of Bishops, to the effect that the holy passion-bearer St. Edward the Martyr, King of England, is not a saint of Christ’s universal Orthodox Church, and that the remains of St. Edward, which are to be solemnly translated to our Church, are spurious and not worthy of the veneration of the faithful. 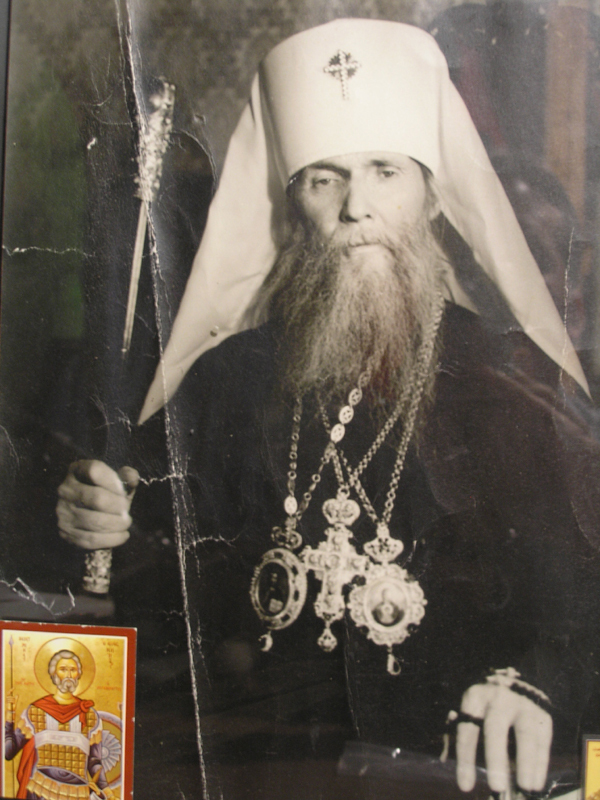 Be it known to all, that such individuals as disseminate such slander against a saint of God do not speak with the authoritative voice of the Orthodox Church, but are merely expressing their own personal opinions which, we are convinced, are not founded upon the facts of the case, but rather upon personal prejudice and ill will. The Synod of Bishops, having examined the available evidence of the case with care, in particular the post-mortem examination of the relics performed in 1970 by the eminent Dr. Thomas Stowell, CBE, MD, FRCS, DIH, a world-famous expert in osteology, resolved formally to recognize that the above-mentioned osteological examination serves as an indubitable confirmation of the identity and authenticity of the relics being translated to our Church (see Ukase #255, datred 6/19 September 1979) This decision was formally reviewed and ratified by the Council of Bishops of the Russian Orthodox Church Outside of Russia, the highest authority within the administration of the Church. Of late, certain letters have been submitted to the Synod by persons who hoped to persuade the Synod to reverse its decision to recognize the sanctity of St. Edward and the authenticity of the relics, and to cancel their upcoming translation. Be it known that, in examining the letters submitted to it, the Synod has found nothing so substantial as to warrant the cancellation of the transferral of the holy relics of St. Edward to its care, and nothing which would cause it to reassess the sanctity of St. Edward. It has been stated that St. Edward cannot be considered a saint because the Filioque clause had already been inserted into the Symbol of Faith in England by his time. To take such a position is contrary to the stated opinions of the very Fathers of the Church who refuted the Filioque, namely the Ven. Maximus the Confessor and the holy hierarch Photius, Patriarch of Constantinople. Furthermore, justice would demand that many other saints who professed, unwittingly, the same addition to the Creed, also be removed from our lists of saints, e.g., Sts. Vyacheslav (Wenceslaus) and Ludmilla of Czechia, St. Martin the Confessor, Pope of Rome, etc. Both the Synod and the Council have examined the Filioque question carefully in regard to the case of St. Edward, and, in view of the stated opinions of the Fathers of the Church, have found it not to be an impediment at the time of St. Edward to a Chirstian achieving sanctity. Those who oppose the reception of the relics of St. Edward and the very sanctity of the Saint would do well to consider that they are opposing the very grace of God Himself, for which sin the spiritual penalty will doubtless not be negligible. We urge all faithful children of the Russian Orthodox Church Outside of Russia to have confidence in the decision of the Council and Synod of Bishops, within whose competence, and not that of uninformed and biased clergy and laymen, such serious ecclesiastical matters lie. Saint Edward Brotherhood reports that it hopes to receive the relics on Sept. 15 (n.s.). One of the donors towards the establishment of Saint Edward’s shrine at Brookwood is HRH Prince Philip, the Duke of Edinburgh, who numbers several Orthodox among his close relatives and forebears. An original icon of St. Edward was a gift to Prince Charles and Lady Diana on their wedding day.